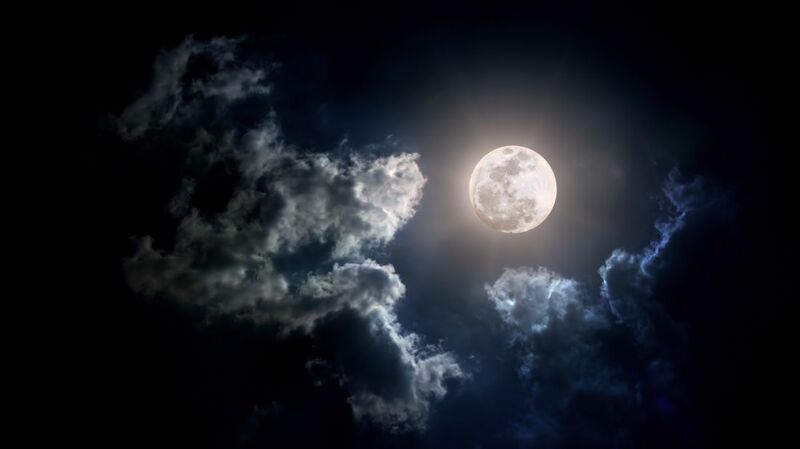 If you were born after the Apollo program, and maybe even if you remember those days, it seems almost unbelievable that NASA sent manned missions to the moon 239,000 miles away. 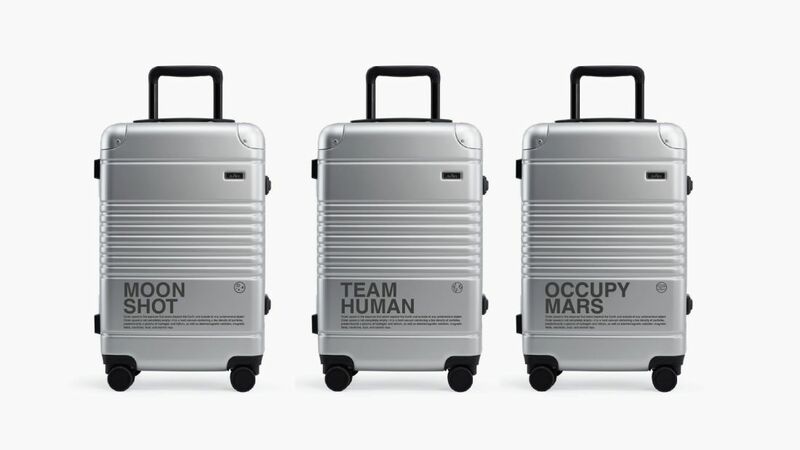 People continue to express sadness at the fact that the Apollo lunar missions were so long ago, and that soon there will be no one left alive who actually went to the moon. Today, Alan Bean—the fourth man to walk on the moon and the last surviving member of the Apollo 12 mission—passed away at the age of 86. Which makes it the perfect time to remember—or get to know—the only 12 people who ever walked on a body other than planet Earth. 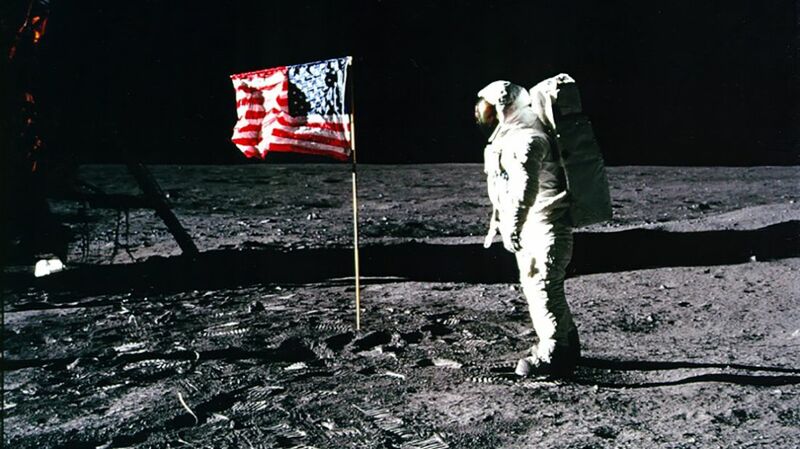 Armstrong along with his crew were honored with parades, awards, and acclaim after their return to Earth, but Armstrong always gave credit to the entire NASA team for the Apollo moon missions. He resigned from NASA in 1971 and became a professor of of Aerospace Engineering at the University of Cincinnati for eight years. Armstrong served on the boards of many corporations and foundations, but gradually withdrew from publicity tours and autograph signings. He didn't particularly care for fame. Aldrin accompanied Neil Armstrong on the first moon landing in the Apollo 11 mission, becoming the second person, and now the first of the living astronauts, to set foot on the moon. Aldrin had taken a home Communion kit with him, and took Communion on the lunar surface, but did not broadcast the fact. Aldrin retired from NASA in 1971 and from the Air Force in 1972. He later suffered from clinical depression and wrote about the experience, but recovered with treatment. 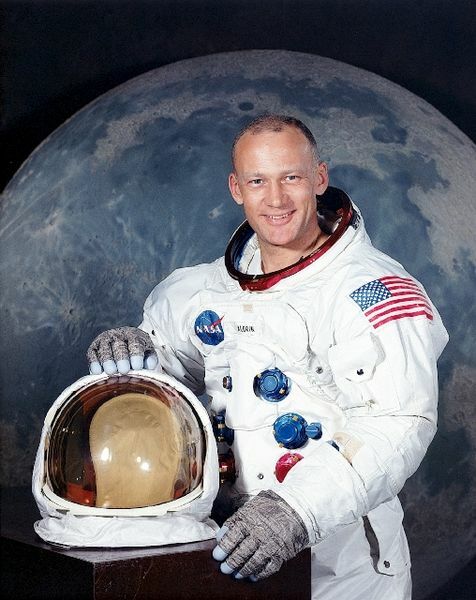 Aldrin has co-authored five books about his experiences and the space program, plus two novels. Aldrin, who is now 88 years old, continues to work to promote space exploration. Apollo astronaut Alan Bean was the fourth man to walk on the moon, during the Apollo 12 mission in 1969. He was the lunar module pilot. Bean was also the commander of the Skylab Mission II in 1973, which spent 59 days in flight. Altogether, Bean logged 1,671 hours and 45 minutes in space. Bean is the only artist to have visited another world, so his paintings of the lunar environment have the authenticity of an eyewitness. 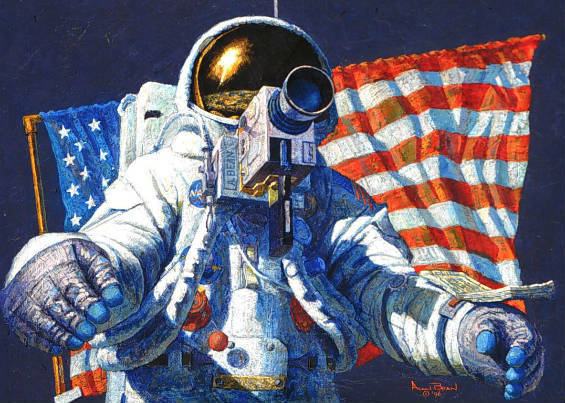 He retired from the Navy with the rank of Captain, but continued to train astronauts at NASA until 1981, when he retired to devote time to his art. Bean died on May 26, 2018 at the age of 86. Alan Shepard was a bona-fide space pioneer who cemented his spot in history long before the Apollo program. A U.S. Navy test pilot, he was selected as one of the original Mercury astronauts in 1959. 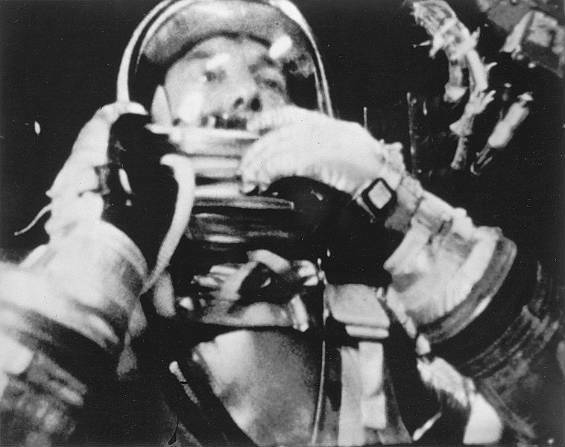 Shepard was the first American launched into space aboard the Freedom 7 spacecraft on May 5, 1961. His suborbital flight reached an altitude of 116 miles. Barred from flight during the Gemini program because of an inner ear problem, Shepard had the problem fixed surgically and was assigned as commander of the Apollo 14 mission to the moon. He was responsible for the most accurate lunar module landing ever, and spent 9 hours and 17 minutes exploring the moon's surface outside the module. During that time, he famously knocked a couple of golf balls with a six-iron attached to his sample-collecting tool. With one arm (due to the space suit), he managed to drive further than professional golfers on Earth could ever hope to, thanks to the moon's lower gravity. Ed Mitchell joined the Navy in 1952 and became a test pilot. Then he earned a PhD in Aeronautics and Astronautics from MIT. NASA selected him for the astronaut corps in 1966. In January of 1971, Mitchell flew on Apollo 14 as lunar module pilot, becoming the sixth man to walk on the lunar surface. He retired in 1972 and founded the Institute of Noetic Sciences, which explores psychic and paranormal events. Mitchell gained some notoriety after NASA for his views on UFOs, as he has asserted that the government is covering up evidence at Roswell. His information, he admitted, came secondhand from various sources. Mitchell died on February 4, 2016, the eve of the 45th anniversary of his lunar landing. David Scott joined the Air Force after graduating from West Point. Selected as an astronaut in 1963, he flew with Neil Armstrong on the Gemini 8 mission and was command module pilot on Apollo 9. Scott then went to the moon on Apollo 15, which landed on the lunar surface on July 30, 1971. It was the first mission to land near mountains. Scott and Jim Irwin spent 18 hours exploring the lunar landscape in the Lunar Roving Vehicle in the first mission to use such a vehicle to travel on the moon. 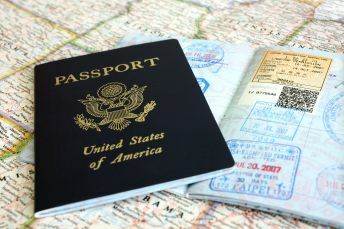 Scott became famous for the "postage stamp incident," in which he took unauthorized postage stamp covers to the moon with the intent to sell them afterwards. NASA had turned a blind eye to such activities before, but publicity over the matter caused them to discipline Scott and he never flew again. Scott retired from NASA in 1977 and served as a consultant for several movies and TV shows about the space program. He also wrote a book with former cosmonaut Alexei Leonov, Two Sides of the Moon: Our Story of the Cold War Space Race. David Scott is 85 years old. 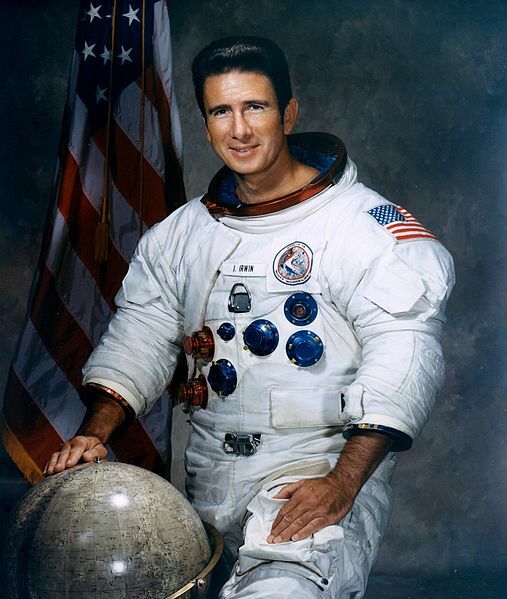 Air Force test pilot James Irwin became an astronaut in 1966. He was the lunar module pilot for Apollo 15 in 1971. 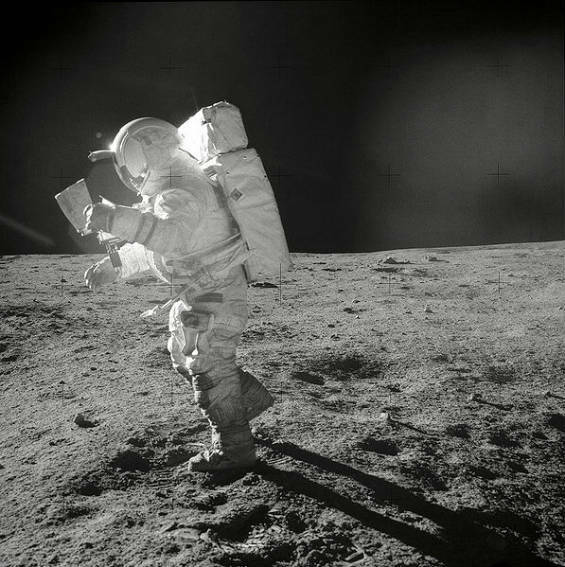 His 18.5 hours of lunar surface exploration included gathering many samples of rocks. The astronauts' medical conditions were being monitored from Earth, and they noticed Irwin developing symptoms of heart trouble. As he was breathing 100% oxygen and under lower gravity than on Earth, mission control decided he was in the best environment possible for such irregularity -under the circumstances. Irwin's heart rhythm was normal by the time Apollo 15 returned to Earth, but he had a heart attack a few months later. 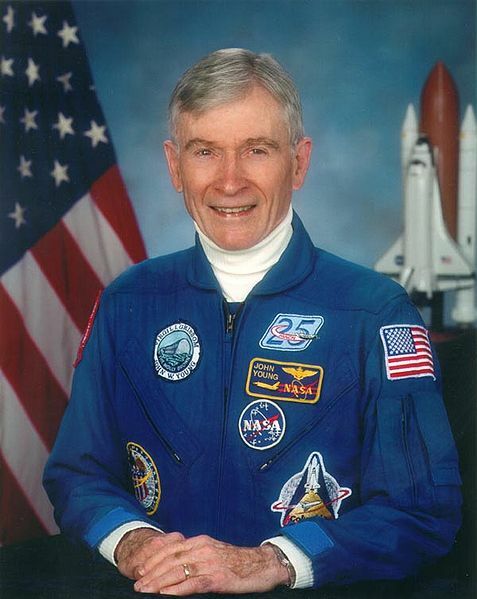 Irwin retired from NASA and the Air Force (with the rank of Colonel) in 1972 and founded the High Flight Foundation in order to spread the Christian gospel during the last twenty years of his life. He notably took several groups on expeditions to Mt. Ararat to search for Noah's Ark. John Young is so far the longest serving astronaut in NASA history. He was selected as an astronaut in 1962 and his first space flight was in 1965 aboard Gemini 3 with Gus Grissom. He achieved some notoriety at that time by smuggling a corned beef sandwich onto the flight, angering NASA. But Young went on to complete a total of six space missions in the Gemini, Apollo, and the space shuttle programs. He orbited the moon on the Apollo 10 mission, then was commander of the Apollo 16 mission and became the ninth person to walk on the moon. Young was also commander of the first space shuttle flight in 1981 and returned for shuttle flight 9 in 1983, which deployed the first Spacelab module. Young was also scheduled for another space shuttle flight in 1986, which was delayed after the Challenger disaster, so the veteran astronaut never made his seventh flight. 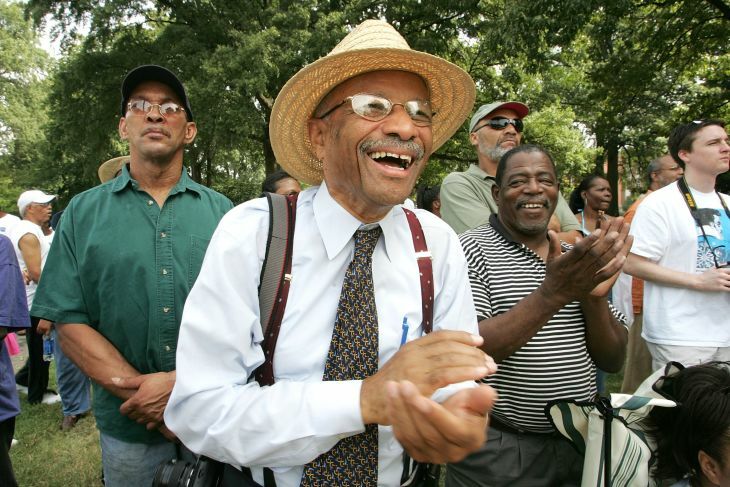 Young finally retired from NASA after 42 years of service in 2004. John Young died on January 5, 2018 at the age of 87 following complications with pneumonia. 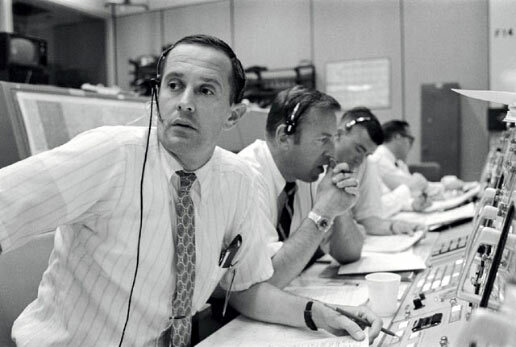 Astronaut Charles Duke was capcom during the Apollo 11 mission. His is the voice you recall saying, "Roger, Twank... Tranquility, we copy you on the ground. You got a bunch of guys about to turn blue. We're breathing again. Thanks a lot!" when the lunar module landed on the moon. Duke also made history by catching German measles while training in the backup crew for the Apollo 13 mission, exposing the crew to the disease and causing Ken Mattingly to be replaced by Jack Swigart on that terrifying spaceflight. Duke went to the moon (with Mattingly as command module pilot) on the Apollo 16 mission in April of 1972. He retired from NASA in 1975 having reached the rank of Brigadier General in the U.S. Air Force, and founded Duke Investments. Duke also became a Christian and a lay minister to prison inmates. Charles Duke is 82 years old. Jack Schmitt was a geologist first, and trained as a pilot only after becoming a NASA astronaut. In fact, he was only the second civilian to fly into space, after Neil Armstrong, who was a veteran at the time of his flights. Schmitt was assigned to fly to the moon on the Apollo 18 mission, but when the Apollo 18 and 19 missions were cancelled in September of 1970, the scientific community lobbied to have Schmitt reassigned to Apollo 17 (replacing Joe Engle) as lunar module pilot. He was the first scientist in outer space. On the Apollo 17 mission, he and Gene Cernan spent three days on the lunar surface (a record) and drove their Lunar Roving Vehicle around collecting samples, conducting experiments, and leaving measuring instruments behind. 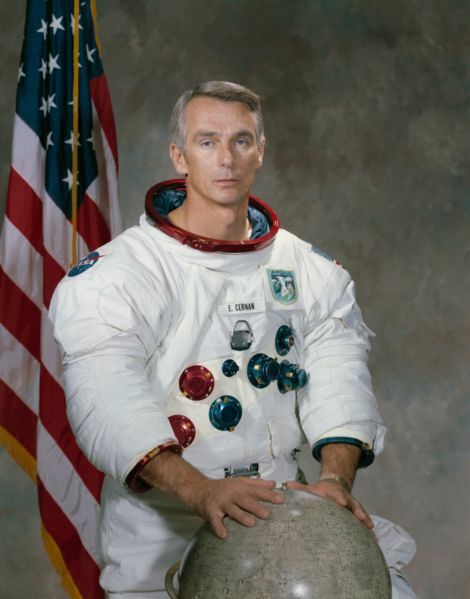 Schmitt and Cernan gathered 250 pounds of lunar material to take back. After resigning from NASA in 1975, Schmitt, a Republican, was elected Senator for New Mexico and served from 1977 to 1983. He became an adjunct professor at the University of Wisconsin–Madison, and lives in Silver City, New Mexico. 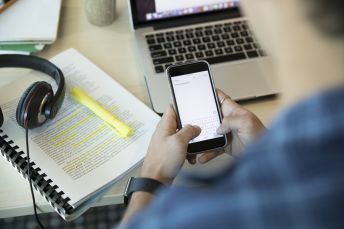 In recent years, Dr. Schmitt's scientific background and political leanings have kept him in the spotlight as he has said that the concept of climate change is "a red herring," and that environmentalism is linked with communism. Jack Schmitt is 82 years old. The space program has never been an entitlement, it's an investment in the future - an investment in technology, jobs, international respect and geo-political leadership, and perhaps most importantly in the inspiration and education of our youth. Those best and brightest minds at NASA and throughout the multitudes of private contractors, large and small, did not join the team to design windmills or redesign gas pedals, but to live their dreams of once again taking us where no man has gone before.